A 28-year-old woman re-arrested in connection with the death of Ipswich man Joe Pooley has been released under investigation. Joe Pooley, aged 22, from the town, was found at around 10.30am on Monday 13 August 2018 in the River Gipping near to London Road. A post-mortem examination carried out on 14 August determined that the likely cause of death was immersion in water. Today, Tuesday 26 February, police re-arrested a 28-year-old woman from Ipswich on suspicion of murder. The woman was taken to Martlesham Police Investigation Centre where she was questioned by detectives. She has now been released under investigation whilst enquires continue. The woman had previously been arrested on 2 October 2018 on suspicion of murder and was subsequently released under investigation. A 33-year-old man and a 24-year-old woman, both formerly from Ipswich, were arrested on 17 January, on suspicion of murder. They both remain on police bail until 17 April. A 36-year-old woman re-arrested on 6 February 2019 on suspicion of assisting an offender was released under investigation. Police investigating the death of Ipswich man Joe Pooley have re-arrested a 28-year-old woman. 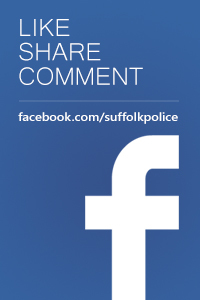 Today, Tuesday 26 February, police have re-arrested a 28-year-old woman from Ipswich on suspicion of murder. The woman has been brought to Martlesham Police Investigation Centre where she will be questioned by detectives. The woman had previously been arrested on 2 October 2018 on suspicion of murder and was subsequently released under investigation whilst enquires continued. A female arrested in connection with the death of Ipswich man Joe Pooley has had their bail extended. A 24-year-old woman answered police bail today (Thursday 14 February) at Martlesham Police Investigation Centre and was questioned again by detectives. Following this she was released on police bail until 17 April. A 33-year-old man, formerly from Ipswich, who was arrested on 17 January on suspicion of murder is on police bail until 17 April. A 28-year-old woman previously arrested on 2 October 2018 on suspicion of murder was released under investigation. A 29-year-old man from Ipswich has today, Tuesday 12 February, been re-arrested for a second time on suspicion of murder. He was questioned by detectives at Martlesham Police Investigation Centre and has now been bailed to return to police on 4 March. He was previously arrested on 2 October 2018 and 6 February 2019 on suspicion of murder. A 33-year-old man and a 24-year-old woman, both formerly from Ipswich were arrested on 17 January, on suspicion of murder. The woman has been bailed to 14 February and the man has been re-bailed to 17 April. A 28-year-old woman previously arrested on 2 October 2018 on suspicion of murder in connection with the incident, was released under investigation. Police investigating the death of Ipswich man Joe Pooley have re-arrested a man. A 29-year-old man from Ipswich has today, Tuesday 12 February, been re-arrested for a second time on suspicion of murder. He has been brought to Martlesham Police Investigation Centre and will be questioned by detectives. He was previously arrested on 2 October 2018 and 6 February 2019 on suspicion of murder and released on police bail. A 33-year-old man and a 24-year-old woman, both formerly from Ipswich, arrested on 17 January, on suspicion of murder were bailed to 12 and 14 February respectively. Two people arrested following the death of an Ipswich man in August 2018 have been released by police. Police have released two people who were arrested earlier today, Wednesday 6 February. Police had re-arrested a 29-year-old man on suspicion of murder and a 36-year-old woman on suspicion of assisting an offender. The man has been released on police bail until 4 March at 11am. Both people, from Ipswich, were taken to Martlesham Police Investigation Centre to be questioned by detectives. The man had previously been arrested on 2 October 2018 and the woman on 3 October 2018 in connection with the incident and subsequently released under investigation. Police investigating the death of Ipswich man Joe Pooley have re-arrested two people. Today, Wednesday 6 February, police have re-arrested a 29 year-old man on suspicion of murder and a 36 year-old woman on suspicion of assisting an offender. 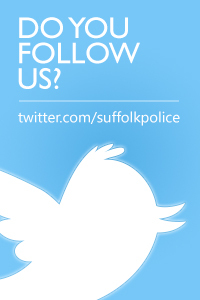 Both people, from Ipswich, have been brought to Martlesham Police Investigation Centre to be questioned by detectives. The man had previously been arrested on 2 October 2018 and the woman on 3 October 2018 in connection with the incident and subsequently released under investigation. Two people arrested on suspicion of murder following the death of an Ipswich man in August 2018 have been bailed by police. Joe Pooley, aged 22, from the town, was found at around 10.30am on Monday 13 August in the River Gipping near to London Road. A post-mortem examination carried out on 14 August determined that the likely cause of death was immersion in water. Three people previously arrested in connection with the incident, a 29-year-old man and a 28-year-old woman arrested on suspicion of murder and a 36-year-old woman, arrested on suspicion of assisting an offender, have all been released under investigation. Police investigating the death of Ipswich man Joe Pooley have today arrested two further people on suspicion of murder. Suffolk officers have travelled out of the county and today, Thursday 17 January, arrested a 30-year-old man and a 24-year-old woman, both formerly of Ipswich, on suspicion of murder. They will both be brought to Martlesham Police Investigation Centre to be questioned by detectives. Two people originally released on bail in connection with the inquiry in to the death of Ipswich man Joe Pooley have now had their status changed to released under investigation. A 29-year-old man arrested on suspicion of murder and a 36-year-old woman, arrested on suspicion of assisting an offender, had originally been bailed until today (Thursday 3 January). Joe Pooley, aged 22, from the town, was found at around 10.30am on Monday 13 August in the River Gipping near to London Road. A post-mortem examination carried out on 14 August determined that the likely cause of death was immersion in water. A 28-year-old woman, also previously arrested on suspicion of murder, remains released under investigation. Two people arrested yesterday, Tuesday 2 October, on suspicion of murder following the discovery of a man’s body in an Ipswich river in August, have been released by police. A third person, who was arrested earlier today, has also been released. On Tuesday 2 October, officers investigating the circumstances surrounding Mr Pooley’s death arrested a 28-year-old man and a 28-year-old woman, both from Ipswich, on suspicion of murder. The man has been released on bail until 4 November and the woman has been released under investigation pending further enquiries. A 36-year-old woman from Ipswich who was arrested by police this morning, Wednesday 3 October, on suspicion of perverting the course of justice has been released on bail until 4 November. Initially, Mr Pooley’s death was being treated as unexplained. However further enquiries have led to these developments. Police have arrested a third person following the discovery of a man’s body in an Ipswich river. A 36-year-old woman from Ipswich has been arrested by police this morning, Wednesday 3 October, on suspicion of perverting the course of justice. She has been brought to Martlesham Police Investigation Centre where she is being questioned by detectives. Yesterday, officers investigating the circumstances surrounding Mr Pooley’s death arrested a 28-year-old man and a 28-year-old woman, both from Ipswich, on suspicion of murder. Both remain in police custody at this time. Initially, Mr Pooley’s death was being treated as unexplained. However further enquiries have led to these arrests. Police have arrested two people on suspicion of murder following the discovery of a man’s body in an Ipswich river. Yesterday, Tuesday 2 October, officers investigating the circumstances surrounding Mr Pooley’s death arrested a 28 year-old-man and a 28 year-old woman, both from Ipswich, on suspicion of murder. They have been brought to Martlesham Police Investigation Centre where they are being questioned by detectives. Initially, Mr Pooley’s death was being treated as unexplained. However further enquiries have led to yesterday’s arrests. Police are continuing to appeal for information following the discovery of a man’s body in an Ipswich river. A post-mortem examination was carried out yesterday which determined that the likely cause of death was immersion in water. Detectives are continuing to investigate the circumstances surrounding Mr Pooley’s death, which is currently being treated as unexplained. At this stage there is no evidence to suggest any foul play, but officers are keeping an open mind. Anyone who believes they have information which could assist the investigation is asked to contact South CID at Landmark House on 101, quoting CAD 122 of 13 August. The body of a man found in an Ipswich river has been identified. Police were called at around 10.30am this morning, Monday 13 August, to reports that a body had been discovered in the River Gipping, near to London Road. The deceased has now been identified and his next of kin informed. Detectives are continuing to investigate the circumstances surrounding his death, which is currently being treated as unexplained. Police were called at around 10.30am this morning, Monday 13 August, to reports that a body had been discovered in the River Gipping near to London Road, Ipswich. Emergency services are currently on the scene and a police cordon is in place. Enquiries are continuing into the circumstances of the incident.